Several owners have given Jones a cease-and-desist warning, threatening to punish him concerning his efforts to block the commissioner's extension. The warning was issued by six of the owners on the NFL Compensation Committee after the group held a conference call on Monday. This was less than two weeks after Jones threatened to sue the league and the owners who were working on a new contract for Goodell. Atlanta Falcons owner Arthur Blank issued a statement on Monday, stating the negotiations with Goodell are moving forward. Jones and Blank did not speak to each other before Sunday’s game in Atlanta. It didn’t help, at least for Jones, that the Falcons beat the Cowboys 27-7 later that evening. What all this may come down to is a fight for control of the NFL. Jones verses Goodell and other league owners may be the biggest matchup of the season. Goodell reportedly wants nearly $49.5 million per year, lifetime use of a private jet and lifetime health insurance for his family. Jones, who has played a large part in the growth of the NFL over the years, doesn’t appear to be on board with the requests. Jones has been accused of trying to “overthrow” Goodell and is not happy with how business is going concerning the league, which involves the controversy surrounding the national anthem protests and a decline in ratings. There is also a more personal element involved in the feud, which surrounds the six-game suspension of Cowboys running back Ezekiel Elliott for a violation of the league’s personal conduct policy. 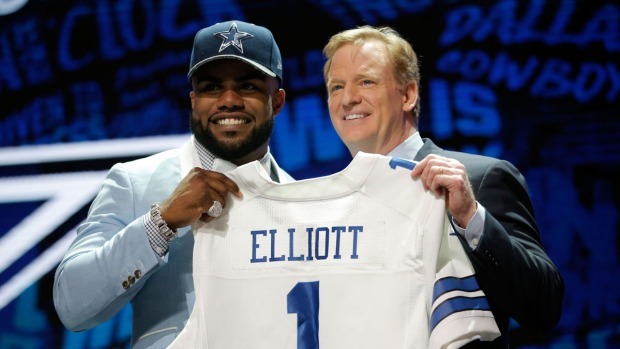 Elliott will serve at least four games of that suspension until his next hearing on December 1. Jones remains adamant that his running back did not deserve a suspension because he was never charged with a crime following accusations of domestic violence. Things have escalated to the point to where a “nuclear option” has been reportedly discussed among NFL owners concerning Jones. Mike Florio of Pro Football Talk cited a league source who said multiple owners have discussed the possibility of the Cowboys owner forfeiting the franchise, which flows from Article VIII of the NFL’s Constitution and Bylaws. 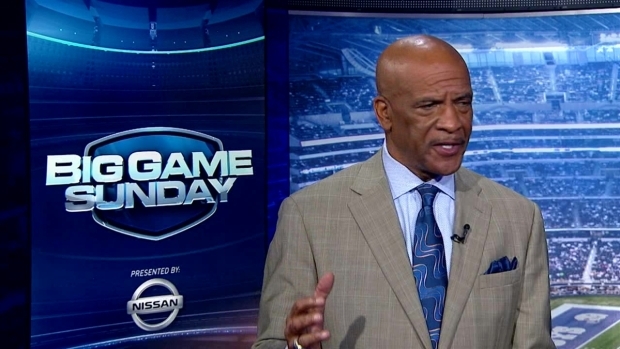 The Cowboys run game managed 107 yards rushing against the Atlanta Falcons. 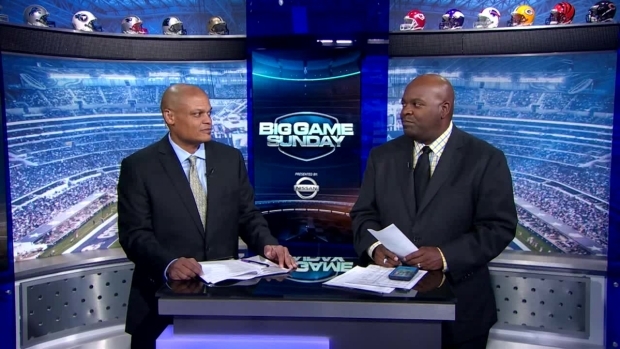 NBC 5’s sports director Newy Scruggs and Cowboys insider Jacques Taylor talk about why they struggled and the importance of Zeke. One of the sections of the article would allow the commissioner to force the forfeiture of a team if the owner “has been or is guilty of conduct detrimental to the welfare of the league of professional football.” There is also a $500,000 fine involved somewhere. Things have now officially got weird. "I think that's laughable," said Cowboys executive vice president Stephen Jones on KRLD-FM (105.3 The Fan) on Monday. Chances are Jerry Jones isn’t losing control of the Dallas Cowboys anytime soon. However, this shows how much heat there is among Jones and other league owners, which also may not end anytime soon. So, as the battle for league supremacy off the field continues, it may come down to the fact that if Jones doesn’t drive out Goodell, he may need to worry about Goodell driving him out of the game. 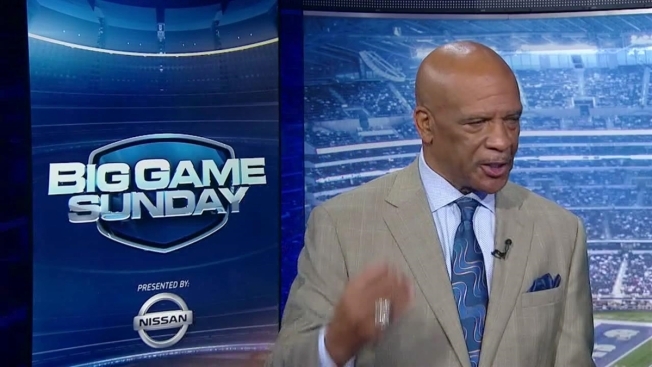 Former Dallas Cowboys Drew Pearson says when the running game takes a hit, he'd like to see a better effort from the wide receivers than what he saw Sunday against the Falcons.